Operation blepharoplasty: This form of surgery is used to correct drooping upper eyelids and puffy bags below the eyes by removing excess fat, skin, and muscle. 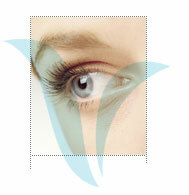 Operation Time (estimate) blepharoplasty: It takes about 1 to 2 hours. Anesthesia/Pain Control blepharoplasty: This procedure exclusively uses local anesthesia. If a patient prefers, we can do general anesthesia or local anesthesia with sedation. Location blepharoplasty: This is usually an outpatient procedure. Side effects (Possible) blepharoplasty: Some patients may experience temporary discomfort, tightness of lids, swelling, bruising, temporary dryness, burning, itching of eyes, excessive tearing, or sensitivity to light for the first few weeks. Complications (Possible) blepharoplasty: Some possible complications that may arise are temporary blurred or double vision, infection, bleeding, swelling at the corners of the eyelids, dry eyes, formation of whiteheads, slight asymmetry in healing or scarring. Patients may also experience difficulty in closing their eyes completely (rarely permanent), pulling down of the lower lids (may require further surgery) or blindness (extremely rare). Downtime blepharoplasty: This is a weekend procedure. Patients can have it done on a Friday and get back to work on a Monday. Patients may resume reading, watching TV, using computer within the first few hours. Patients can participate in exercise within 1 week. Bruising and swelling take 2 or 3 days but varies person to person.